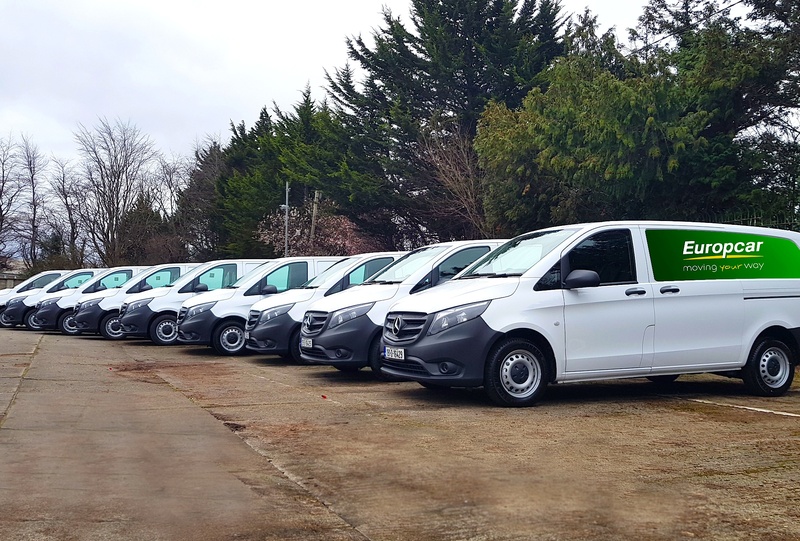 With the news that Europcar Ireland has enhanced its commercial vehicles fleet with the addition of 20 new Mercedes-Benz Vito Classic van models, the popular car and van rental company has taken a major step towards ensuring its commercial clients get the ‘three-pointed-star’ treatment when selecting a model from its rental fleet. Supplied by Stephen Finnegan in Mercedes-Benz commercial vehicles dealer, Gilmores Kingscourt in Co.Cavan, each Vito is fully dressed in familiar Europcar livery with its ‘moving your way’ message. In addition, all units are equipped with a range of standard items that includes twin rear doors, air-conditioning and multi-function steering wheel with fingertip controls. According to Fleet Purchasing Manager at Europcar Ireland, Jimmy Smithers, these are amongst the features that make the entry-level 109KAL ‘the most price-competitive model in the Vito range and the best-value model in the mid-size van segment’. Enabling Europcar to offer customers highly competitive rates, the new units are being located at the company’s depots across the country where they will be available to clients for short and medium term lease.